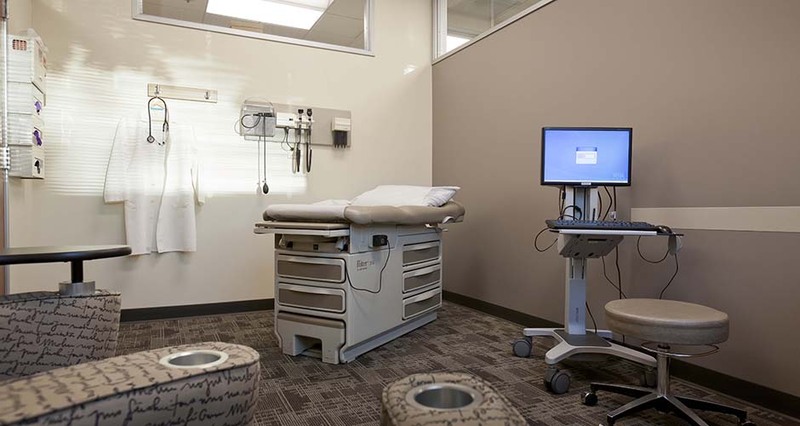 The project included exterior shell renovation, common space improvements, and a 7,000 SF tenant improvement for healthcare provider GreenField Health. 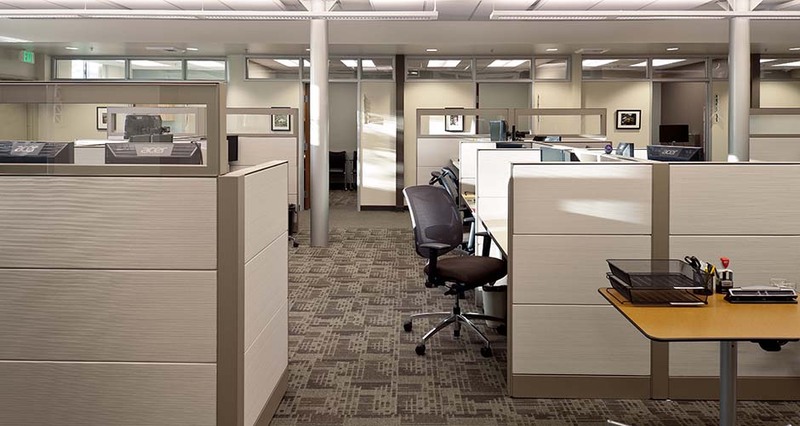 The 1950s building was re-skinned with brick veneer to complement the adjacent Class A business park and existing windows were replaced with energy-efficient systems. The renovated building earned LEED Silver certification. 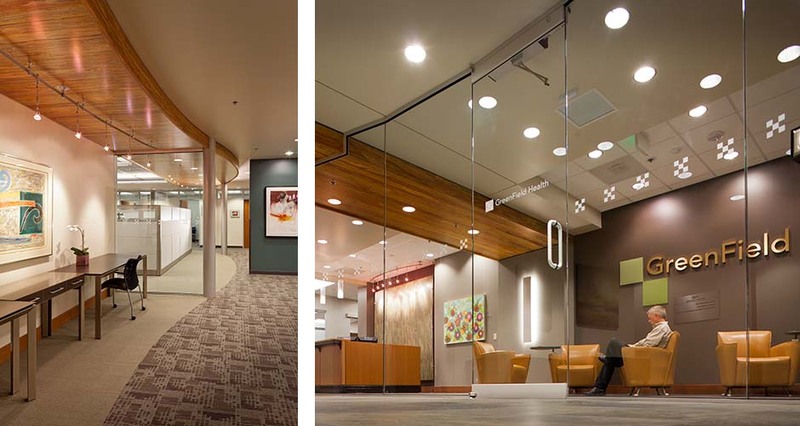 Within the clinic space, designers worked with the client to develop a tenant space plan with the flexibility to respond to evolving healthcare trends. 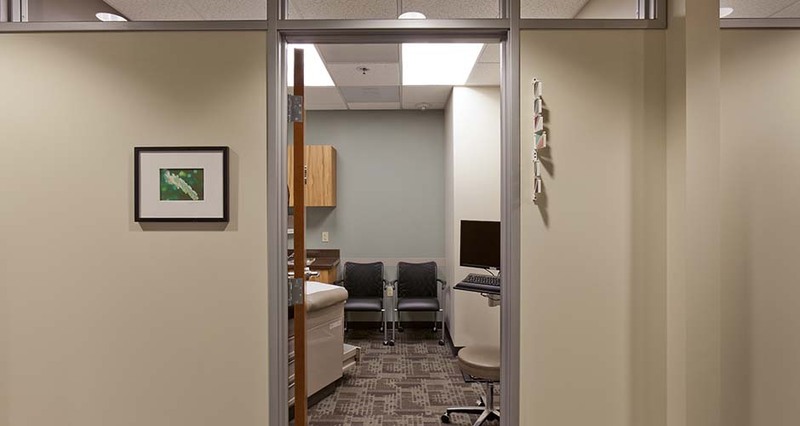 It was a client requirement that the clinic be bright and airy. 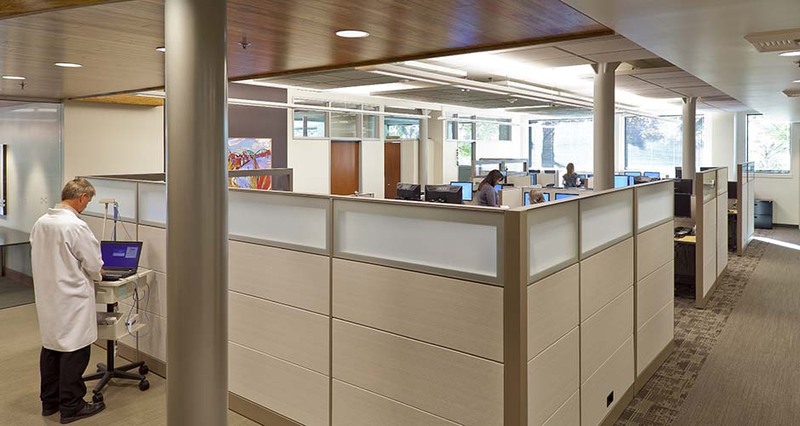 Given this, the designers faced two primary challenges: overcoming the building orientation and west-to- east depth to bring natural light into and through the space and balancing HIPAA privacy concerns with the desired open office. The space offered good western and limited southern exposure, but was essentially built into the slope to the north. Structural and daylighting analyses determined limited daylighting gains would not outweigh significant added costs to create new openings. Instead, high ceilings, wide hallways, glazed partitions, and clerestory windows extend daylight through the tenant space. 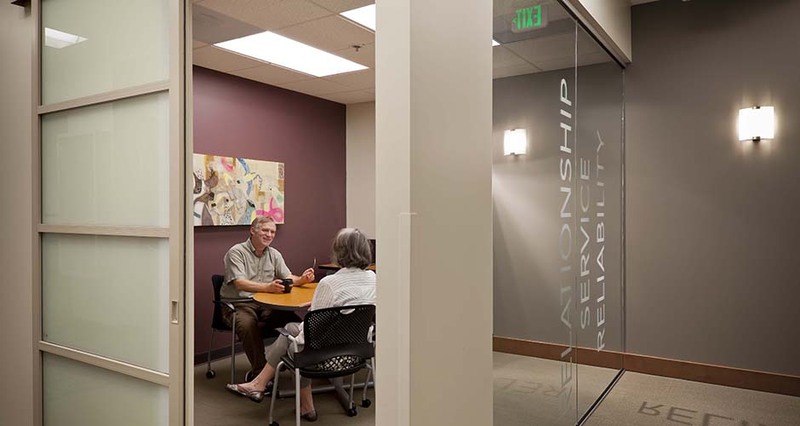 Acoustical ceiling clouds temper noise in the open office, while "meet-and-greet" rooms provide enclosed retreats for sensitive conversations.